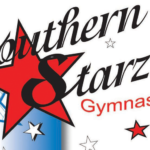 Have your next party at Southern Starz! You supply the cake and we’ll supply the fun! Have fun jumping on our trampolines, swinging on the bars and playing in the foam pit. Separate room for your cake or snack!